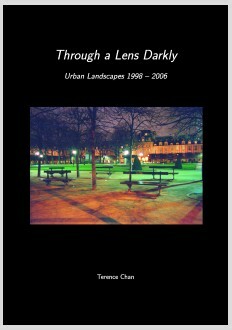 I am offering ten (10) FREE copies of my book, Through a Lens Darkly (including FREE worldwide postage), to the first ten people who wish to claim it. All you have to do to take up this offer is to agree some simple terms and conditions, then fill in a short form with your details. But here's the catch: first, you need to find the form! (The form contains a special code, and I will not accept direct e-mails asking for a copy.) One of the pages on this site contains a link to the form; when you find it, just click on the link. But be warned - it's not that obvious, so if you just quickly scroll through each page, you are unlikely to find it. However, the link is not disguised in any way (e.g. behind a header or some other misleading object); it has the same appearance as other links on this site, and it is properly contextualized, so it doesn't just say "here is the link" somewhere in a page, out of all context relative to its surroundings. Good luck and happy treasure hunting!